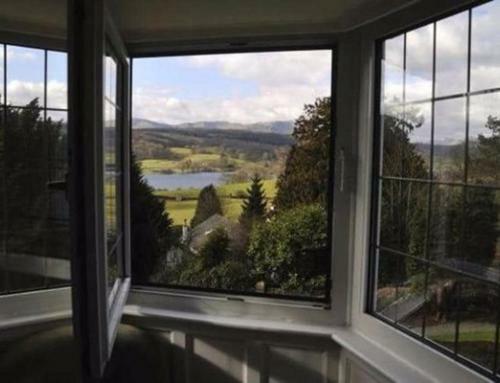 Home/Blog, Double Glazing, UPVC Windows, Windows/How does double glazed windows reduce heat loss? Many homeowners replace their existing windows for double glazing for heat retention reasons. By preventing heat loss will allow a home to remain warm which permits you to decrease the heating temperature, therefore reducing your overall heating bills. 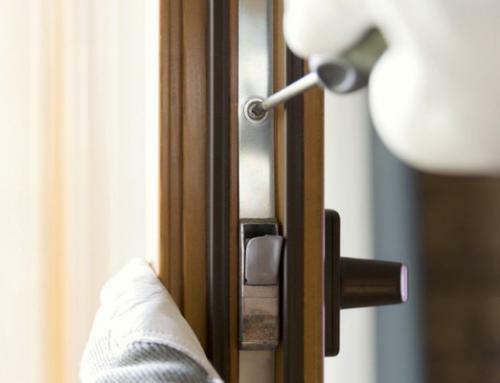 When purchasing replacement double glazing, we must ask ourselves, how does it all work? We have writing this blog to discuss how double glazing reduces heat loss. We will also explain the different types of double glazing, not forgetting how energy efficient are double glazed windows. In a nutshell, double glazing reduces the total heat loss via the windows, by limiting how much heat can escape by conduction and convection. Conduction is the term used when heat is transferred through a material (glazing). The heat hits the glass, which is then transferred through the window panel to the outside environment. If we look at single glazing, the heat will hit the piece of glass which penetrates at ease to outdoors, reducing the warmth of a room. The good news is that double glazing prevents this process, as the conducted heat cannot be transferred directly to the outside. It does however transfer to the air gap between the two panes of glass. This is when convection occurs. Convection is the term used when heat is transferred via a moving liquid or a gas. Between the two panes of glass there is either air or argon gas. When air is used this acts more like a block, as air is a poor conductor. When argon gas is used, the gas is heated and is used as an insulator between the two panes of glass. Therefore making your home warmer. So when it comes to eradicating heat transfer, double glazing is far more effective than single glazing. This is also enhanced when argon gas is used between the two panes of glass. 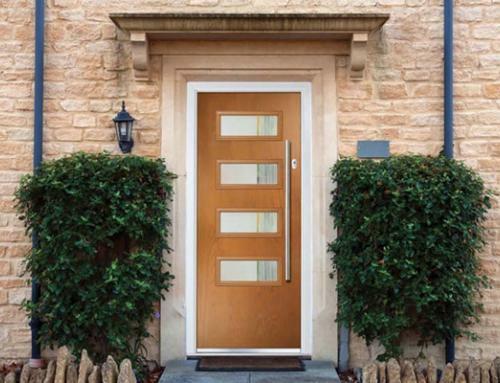 When we refer to the term double glazing, there are not many variations in the types of double glazing as most are installed the same way, however the materials used for the frames also the different types of glass used, do vary. UPVC windows otherwise known as (un-plasticised polyvinyl chloride), is the most common forms of materials used for double glazing. This is due to the product being cheap to produce, it is also extremely durable not forgetting recyclable. 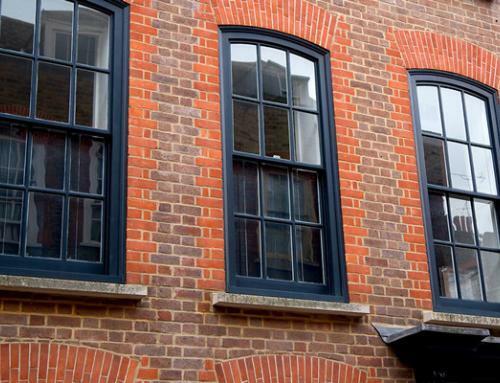 There is also another option which has become extremely popular over the recent years which aluminium window frames. 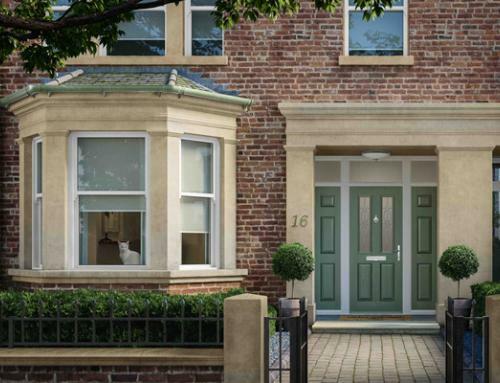 There are many advances in aluminium window technology which allows these windows to be constructed in a huge range of sizes, whilst maintaining the same benefits as the uPVC windows in terms visibility and how practical they are. The E-glass is the term used for low emissivity glass (energy efficient glass). One of the panes of glass has an additional thin metal ‘low E’ coating, which creates an insulated effect. This metal coating restricts the heat transfer between either sides of the glass, increasing the energy efficiency. 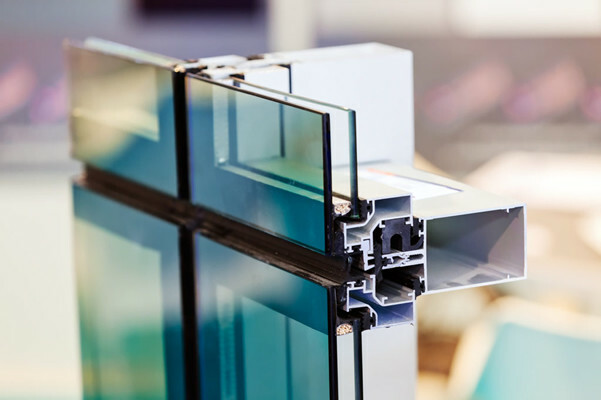 Float glass is one of the most widely used glass within double glazing today. As per is name this process involves floating molten glass on a layer of molten metal. This produces a uniform of perfectly flat finish. This technique was developed by Sir Alastair Pilkington. Double glazed windows are much more secure than single glazing. Laminated glass enhances that security features even more. If someone attempts to break the glass, rather than the window exploding into small pieces, the lamination holds the pane together. When we look at the term toughened glass, this refers to the glass being strengthened. The process involves heating tempering procedure, which ensures that in the event of the glass being broken, instead of the glass crumbling into razor sharp pieces, it crumbles into small chunks. Toughened glass is also used as car windscreens as it is a safe option for vehicles. This is why toughened glass is used for schools and low height windows, where safety is paramount. 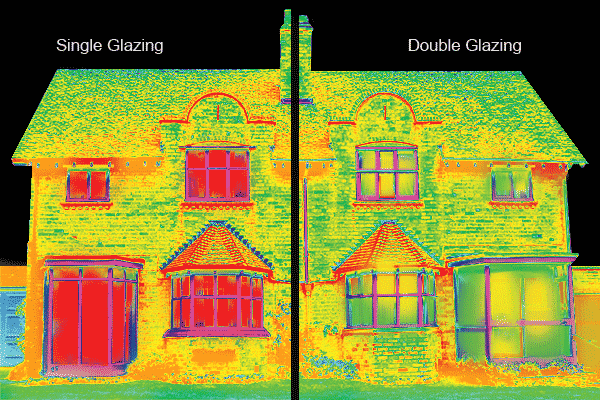 Though we now understand how double glazed windows prevent heat loss, we now need to know how cost effective double glazing can be for homeowners, also how much could it save you? Most home owner’s main intension for replacement windows is to firstly reduce their energy bills, secondly security upgrade, lastly acoustic reduction. There are research papers indicating that double glazing could reduce noise levels to an astonishing 35 decibels (roughly a normal level of a standard conversation), which is ideal if you live with a walk way in front of your home. When you look at heat loss savings, the amount you will save will depend on the size of your property and how much energy you require to maintain room temperature. According to confused about energy a 3 bedroom house using an estimated 15000kwh of energy per year could save an estimated 10\% on their energy bills if they install new double glazing. This sum works out to be around £70 a year, which is quite significant. In a 4 bedroom property using mostly electric for their heating source, averaging 20,000kwh per year, the saving could be around £120 to £150 per year savings. Are double glazed windows worth the money? When considering the cost and savings in relation to replacement double glazing the main question is whether it is worth it or not. To answer the question will be depending on how much you will be saving on your heating bills. However, as house prices raise beyond belief, many homeowners opt for upgrading to double glazed windows rather moving to an expensive property. The cost between moving from a 3 bedroom house to a 4 bedroom is significantly greater than replacement windows. If this increase of moving property is considerably high, then it may be worth replacement windows and doors or even an additional conservatory to create that supplementary space. Many homeowners are in the position to replace their windows to enhance the look of their home rather than just energy efficiency. By replacing old windows with various different styles and colours can completely change the appearance of any home. So if you have considered all aspects of double glazing and still require replacing your old windows for some new double glazed windows, then please don’t hesitate in contacting us for more information and advice. We also offer non-obligated quotes.